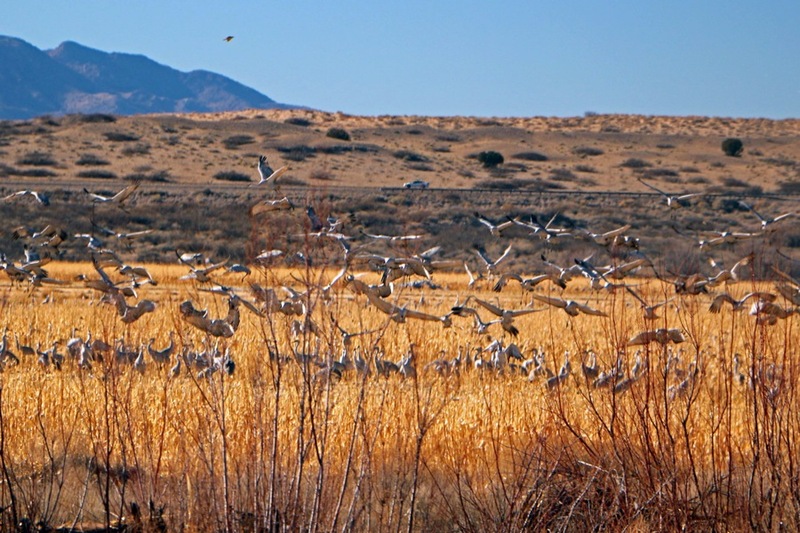 "If you are looking for a top-reviewed, quiet, clean, RV park near Los Lunas, Bosque & Socorro, NM, you are in the right place..."
If you love to have fun and meet fellow RV owners, join our Facebook group where we post upcoming events you won't want to miss. "I'd stay here again in a heartbeat." We called 2 hours prior to arriving on a holiday weekend and Kiva was willing to accommodate our party of four (2 adults, 2 kids). The place was very quiet and quaint and the office personnel were very nice and hospitable. There is a dog run with a pooper scooper which was nice to have. The kids were able to visit with the fishes in the pond at the entrance. I'd stay here again in a heartbeat. 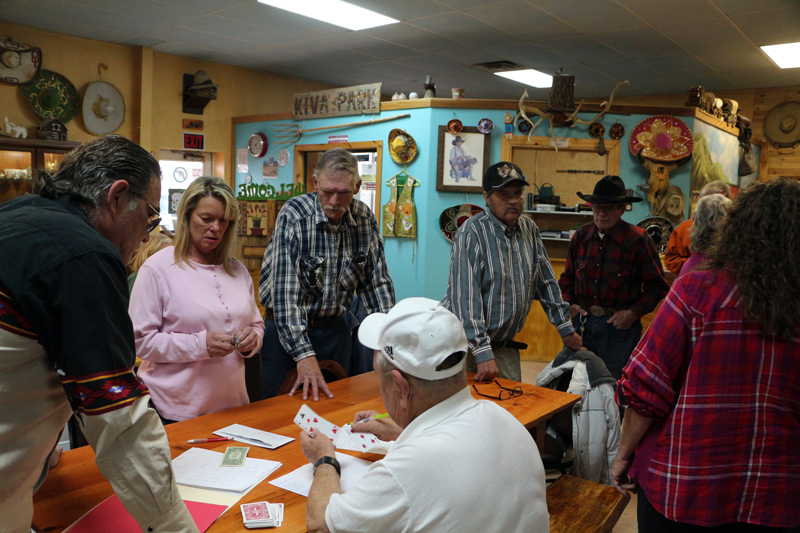 "This is the best RV park I have ever stopped at...."
This is the best RV park I have ever stopped at. Big spaces, caring staff and activities at the office. The park is exceptionally clean... we will definitely return." We stayed at KIVA over the Memorial weekend 2017. The park is exceptionally clean and the staff (Reba) were great! The park offers a CLEAN, fenced dog run which was wonderful for our 5 month old goldendoodle. If you're looking for excitement and adventures around every turn...KIVA is not for you. If you need a well maintained, quiet, large, tree lined double site for the price of one.....call and make a reservation for a few days! We will definitely return. "This RV park is one of our favorites in the Albuquerque area..."
This RV park is one of our favorites in the Albuquerque area. Great hosts, large, clean spaces. Not too much noise from highway. Only 15 minutes from RailRunner commuter train in historic Belen. 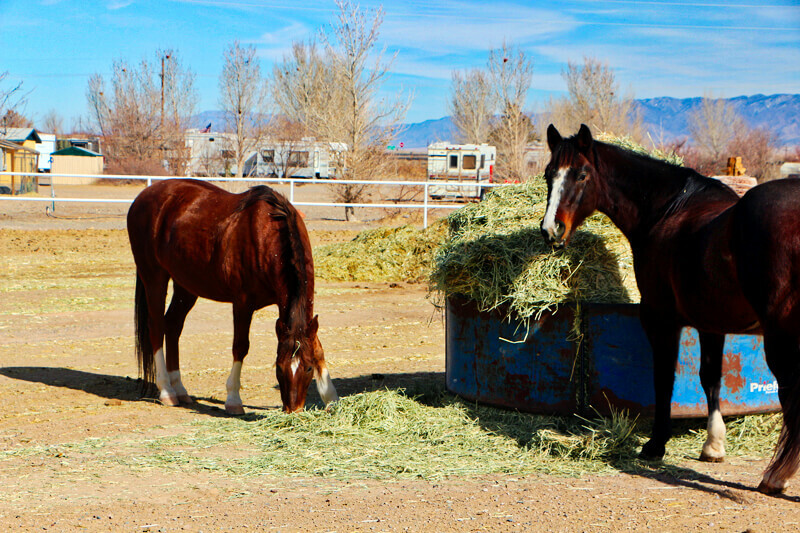 "Helpful staff.... provided us with a corral and fresh water for our horses." Helpful staff. Treated us very well and provided us with a corral and fresh water for our horses. They provided us with helpful information about our traveling route. "Good campground for a base camp..."
Good campground for a base camp. Albuquerque to the North, Salinas Missions to the East & San Miguel Mission & Large Array to the South/Southwest. FHU (full hook-ups) & WiFi. Our spaces and horse motel fill up quickly. 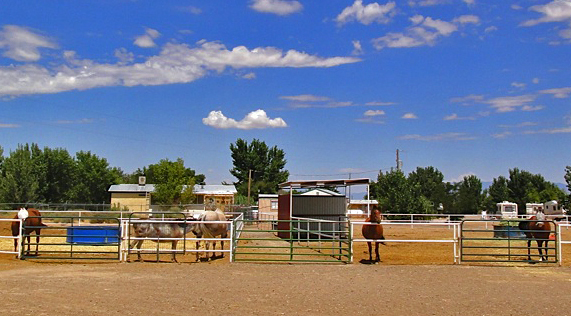 Kiva RV & Horse Motel is a beautiful RV park and horse motel in Bosque, NM, and is minutes from the Rio Grande River. You’ll be located close to local area employers, shopping, restaurants and attractions in Los Lunas, Belen and Socorro, NM.